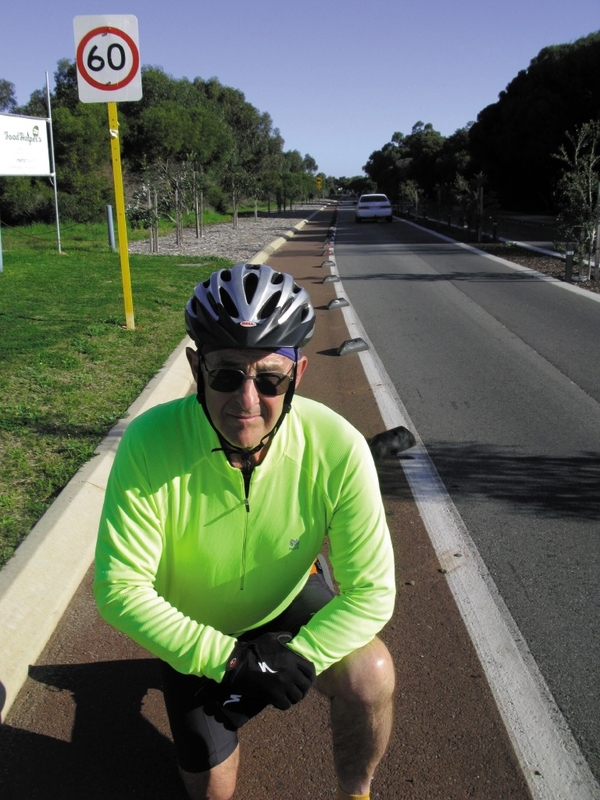 Mandurah Over-55 Cycling Club president John Ellis said the delineators were dangerous. Mandurah Over-55 Cycling Club members recently kicked up a fuss after one of their members hit a delineator and sustained bad bruising. At the recent full meeting of Mandurah City Council, Councillor Dave Schumacher put a notice of motion that the solid rubber delineators separating the cycle way from traffic be removed immediately. He also asked that a report on other options for addressing cycling safety be presented to the council. Cr Schumacher said the delineators were a hazard to all road users and put them at risk of having an accident, causing serious injury or death. �I know we need to protect cyclists but not with something that could seriously injure them,�� he said. City works and services director Allan Claydon said the delineators were used successfully in many countries and the council had hoped to learn from the trial. �There are many variations on what could be used on that site,�� he said. The delineators will be removed and possibly used for traffic control in carparks.